The scientific sector is wasting resources. The ignorance of the opportunities that Andalusia offers us is one of the biggest problems. That is why it is essential to support communication and cooperation between the different areas in order to create an interdisciplinary and transversal ecosystem. MedinBio is a connection forum that promotes innovation and open science. It is not only a day in which to interact with professionals from the environment, but it is a meeting to publish your activity and expand your range of opportunities. Join innovation and open science. We propose an unusual and dynamic format, where attendees become participants and they are active part of the forum. This format is not very widespread, although it starts to be relevant. 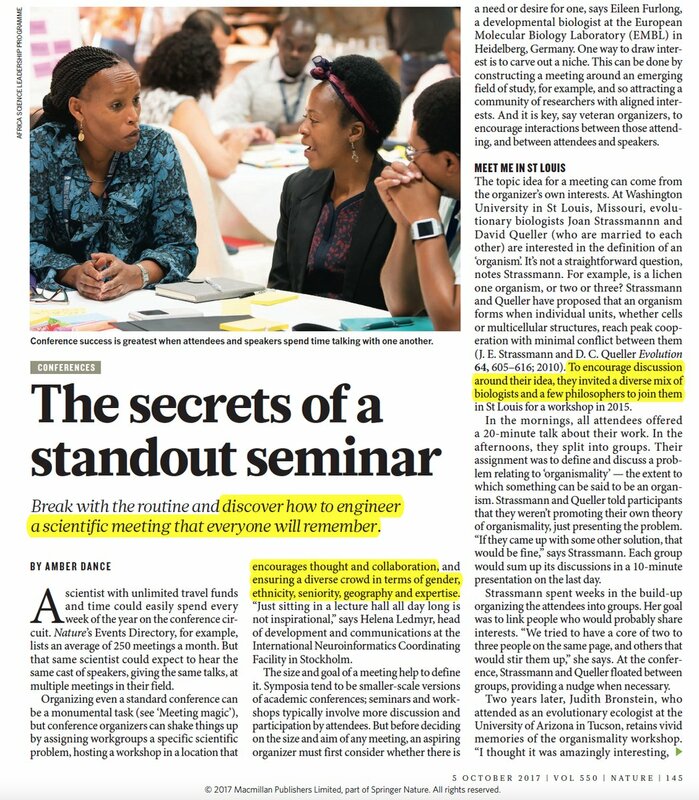 The magazine Nature in its article "Conferences: The secrets of a seminary outstanding". It talks about symposia, small-scale conferences where participation and discussion prevail. It is also characterized by gathering a diverse audience, so that the exchange of ideas is favored.